The Planetary Society engages and empowers the world’s citizens to advance space science and exploration. Together, we develop space technology, guide future space policy, and inspire people of all ages to value the adventure of exploration and the joy of discovery. We’re a diverse group of space scientists, advocates and enthusiasts, led by a prestigious board of directors and our CEO, Bill Nye. Our vision is to know the Cosmos and our place within it. 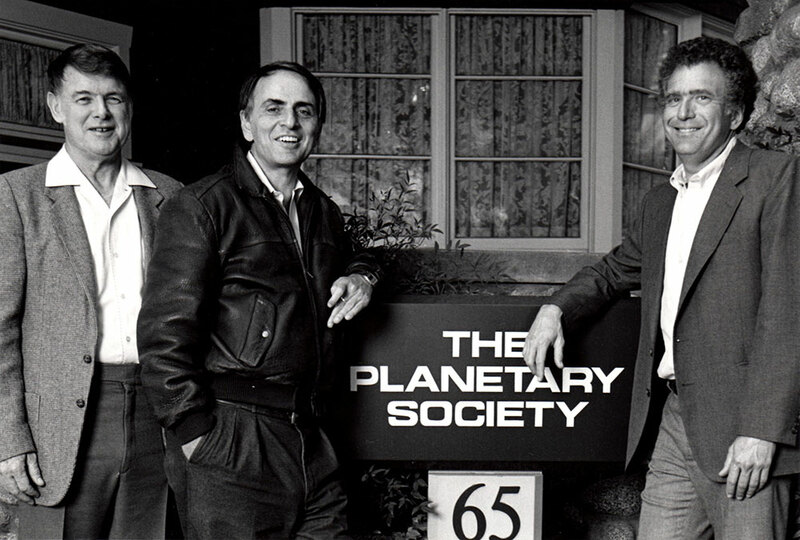 Our founders: Bruce Murray, Carl Sagan and Louis Friedman. The Planetary Society was formed in 1980 during a painful lull in planetary exploration. Our goal was to demonstrate—simply by our existence—that the public supported planetary exploration. We succeeded, becoming the fastest-growing membership organization of the 1980s. Politicians and policymakers took notice. But it became clear that we were going to have to do more than just exist. We began to sponsor research projects, publish a magazine and website, host events to celebrate exploration, and educate the next generation of space explorers. Thanks to the strong foundation built by our founders, we’re still going strong today. Humans Orbiting Mars is just one of our many science and technology projects. We continue to advocate for planetary science funding. And our writers and bloggers tell the world about the adventures of our robotic ambassadors from Earth. Consider joining us on our mission. We are your place in space.